On Oaks Day, we found ourselves downtown just in time for lunch. 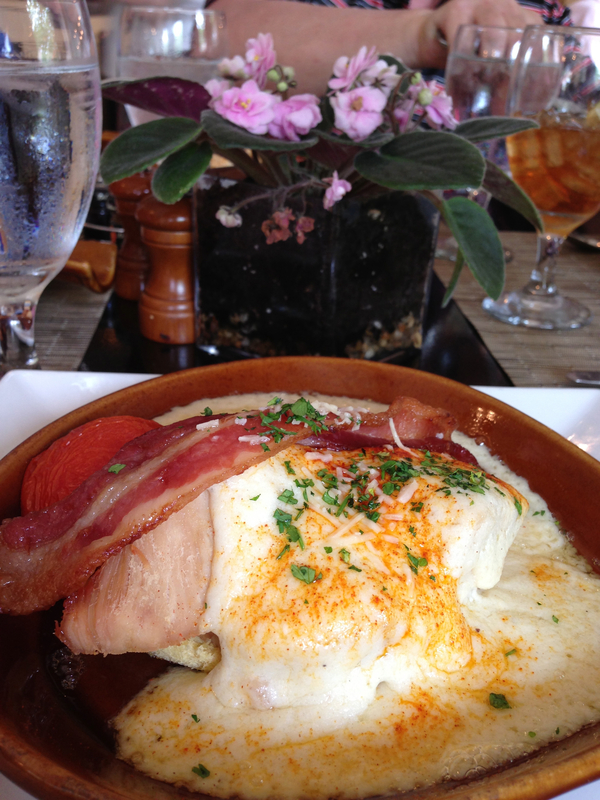 On all of my lists, the only food on any of them in Louisville itself was a “Hot Brown”. What better place to sample this local treat than in the hotel that bears its name. Originally created by Fred K. Schmidt in 1926, it is a variation on the Welsh rarebit (which I must admit, as a child I always assumed was a rabbit dish pronounced with an accent) and is composed of sliced turkey on white toast, covered in a mornay sauce (mmmmm. 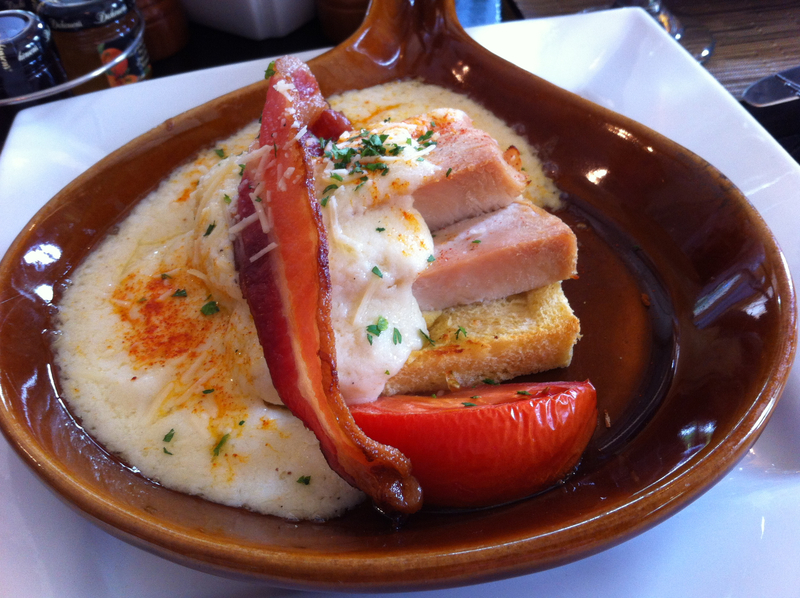 Mornay sauce – the essence of croque monsieur), ham and slices of bacon. When we arrived, around 1:30, there was not a table to be found, but as a result of judicious cajoling of the hostess by our host for the weekend, we waited about fifteen minutes and were taken to a table. 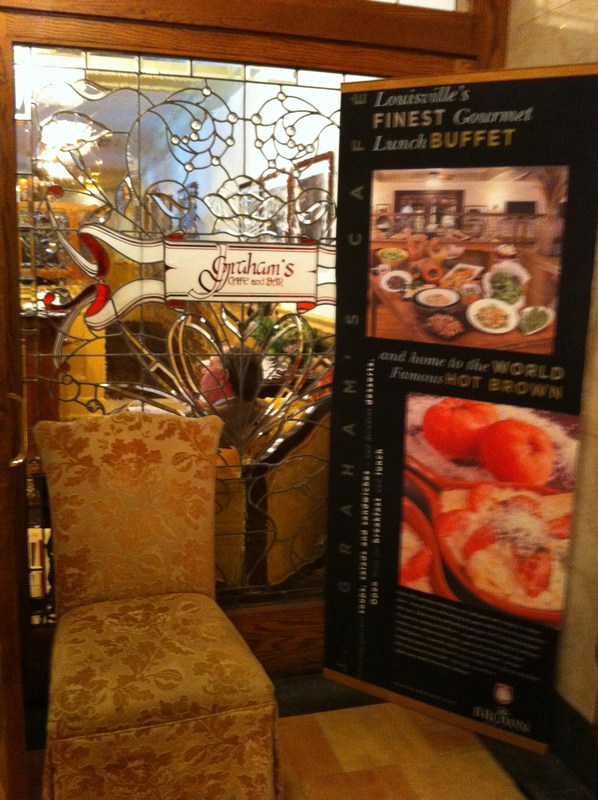 They were serving a buffet that looked promising, but we were there for the Hot Browns. Three of the four of us ordered Hot Browns (two half orders and one full order) Having eaten breakfast less than two hours before at the track, I didn’t think that I could eat an entire hot brown. I ordered of the halves and was barely able to finish it. They are, indeed, all that they are cracked up to be.